Great Britain: the rail infrastructure owner Network Rail runs on five-year funding cycles. In April 2019 its new funding cycle, Control Period 6 will begin. 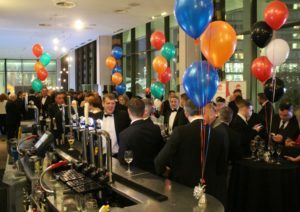 To mark the occasion and to network with fellow rail infrastructure suppliers, Millian Events hosted a CP6 Launch Event in Liverpool, sponsored by Mecx Group and PPS Rail, with Railway-News as the official media partner. 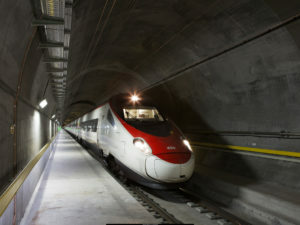 The Swiss Federal Office of Transport (BAV) has released figures detailing how the modal share of rail increased to 70.5% in 2018. the total amount of freight transported through the Alps by both road and rail increased by 2% last year, equivalent to 39.6 million tons, but that increase came from the rail freight sector. However, rail freight in 2018 still did not match the 2016 high. Bombardier, who developed the original PAX shuttles for Eurotunnel in the 1990s, has now won the contract to refurbish nine of them. The contract is part of Eurotunnel’s mid-life refurbishment programme, running from 2018–2026. The contract is worth 150 million euros (171 million USD) and will run for seven years. Bombardier will begin delivery of the refurbished shuttles in mid-2022. Transdev subsidiary Bayerische Regiobahn has ordered 41 Coradia Lint Trains from Alstom for operation between Augsburg and Weilheim, Schongau, Ingolstadt, Eichstätt and Langenneufnach. Alstom will deliver the rolling stock by September 2022. This contract is worth more than 150 million euros (170 million USD). In order to free up funds Transport for London has signed a contract with Rail Leasing. TfL will sell its Bombardier Class 345 Elizabeth line trains to the company and then lease them back. This will make more than 1 billion GBP (1.3 billion USD / 1.17 billion euros) available to the transport provider, which it will use to acquire new rolling stock for the Piccadilly line, for example. UK company Vivarail has been working on converting former London Underground stock into battery-powered Class 230 D-trains. Its D-train has a range of 60+ miles (96.4km) between charges. 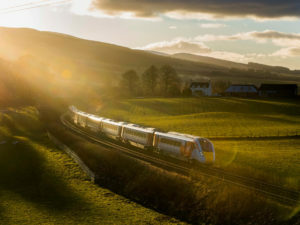 The train, coupled with the company’s fast charging system and its battery bank, is a comprehensive solution to removing diesel rolling stock from the UK rail network in a cost-effective manner. CPPK (Central Exurban Passenger Company) has purchased 21 EP2D EMUs from Transmashholding. Transmashholding will manufacture the EMUs at its Demikhovo Machinebuilding Plant in the Moscow Region. In total, Transmashholding will manufacture 231 carriages for the 21 eleven-car units. Rail Cargo group says it is deepening ties with two major Italian ports: Venice and Trieste. Rail Cargo Group already processes 3,000 trains in Trieste every year. In 2018 Trieste was Italy’s strongest-performing port. RCG is also launching a direct service between the German inland port of Duisburg and Venice, opening up the market further to the north (Scandinavia) and to the south and east (Greece, Turkey) for rail freight customers. The European Commission has published its most recent EU Transport Scoreboard. Covering all areas of transport with the aim of highlighting to Member States where they need to focus their attention, the report also had some interesting findings regarding the rail sector. For example, Estonians were the most satisfied with their country’s rail transport. In order to keep up with an increasingly digital industry, Alstom has responded by launching an online marketplace where suppliers in the rail industry can list their goods if they meet the relevant quality standards. Buyers meanwhile can use the service as a one-stop-shop for their railway goods and services needs. Marketed as truly independent, this sees Alstom following through on an announcement it first made at InnoTrans 2018.